BeeReminded | What Are You Missing? 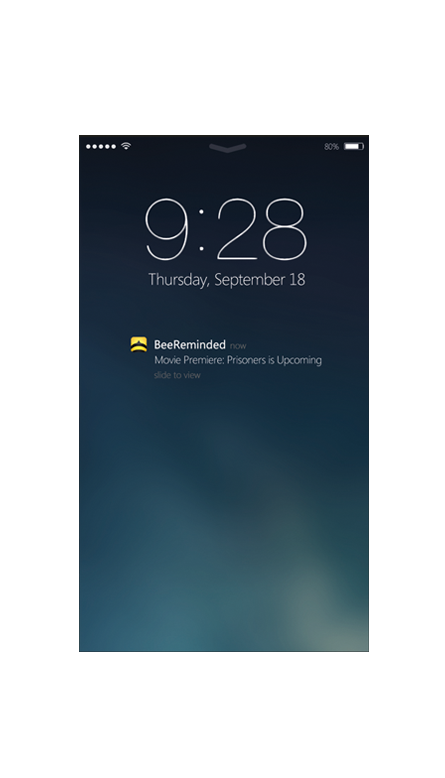 BeeReminded is a personal entertainment assistant that helps you keep up with events you are interested in without giving up control of your inbox, fumbling around with clunky calendars or sifting through noisy social media. 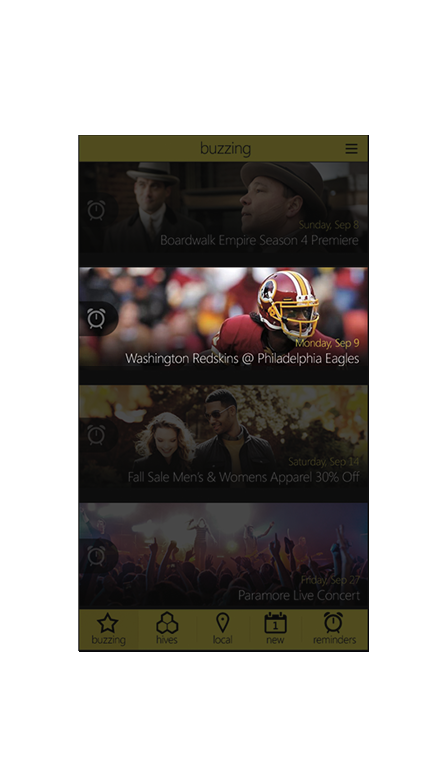 Stay in “the-know” with a list of highly curated upcoming events in TV, sports, movies, sales, festivals, music, and more. With a simple “pull” you can set a reminder for an upcoming event. 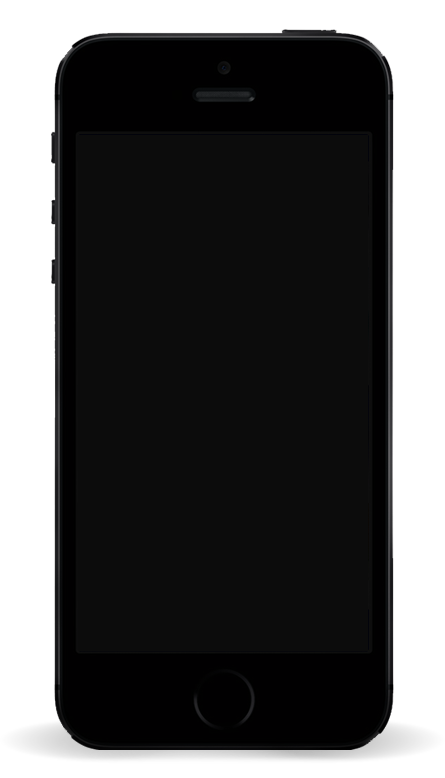 Reminders are received straight on your mobile device. 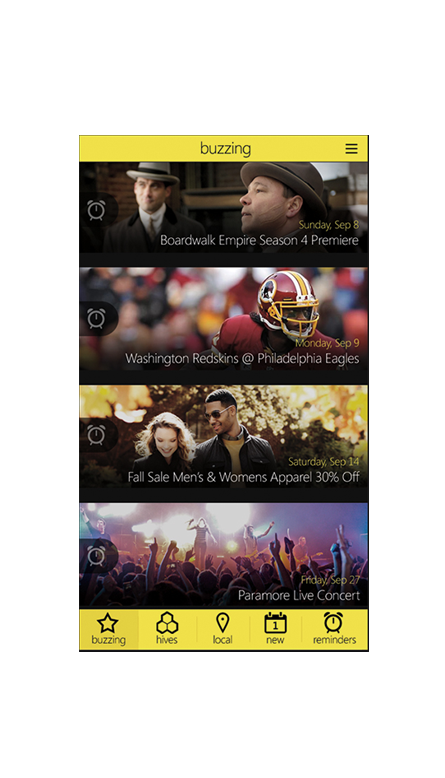 Set a reminder and get a notification on your mobile device reminding you of the event. No checking email, no spam, no annoying interruptions.